Gizmodo Australia run a regular feature called Developer Cubed in which they focus on Australia’s up and coming dev scene. They grabbed Nic for a quick interview recently. Gizmodo’s Developers Cubed series offers a behind the scenes look into Australia’s up and coming dev scene. This week: We chat with Nic from Sydney-based games developer Nnooo about why all development isn’t just iOS development and why it’s important to carve your own niche. It’s not just Steve Ballmer’s favourite sweat-laden catchcry! 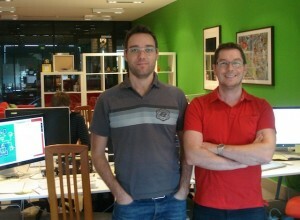 If you’d like to be featured in Developers Cubed, shoot a note to alex.kidman at alluremedia.com.au. I’d love to hear from you. We have created several successful franchises for WiiWare and DSiWare and are now turning our hand to the next generation of consoles with games for Nintendo 3DS and other unannounced consoles. Our most successful projects have been Pop, a launch title for the WiiWare service; Pop + Solo a sequel to Pop for DSiWare and our myLifeCollected series of applications for DSiWare which includes myNotebook, myPostcards and myDiary; finally escapeVektor our latest game was released to critical acclaim at the end of last year on WiiWare. Our current projects include escapeVektor for Nintendo 3DS (and other platforms – to be announced) and Spirit Hunters Inc an augmented reality RPG for DSiWare and Nintendo 3DS.